A legal nonprofit has sent letters to 18 major agencies seeking records on their officials’ “mixed travel,” or trips that have an official purpose as well as political activity. Citizens for Responsibility and Ethics in Washington sent the Freedom of Information Act requests on Sept. 10 for relevant documents. It also sent the complaint to White House Chief of Staff John Kelly and Office of Special Counsel chief Henry Kerner, whose agency enforces the Hatch Act. 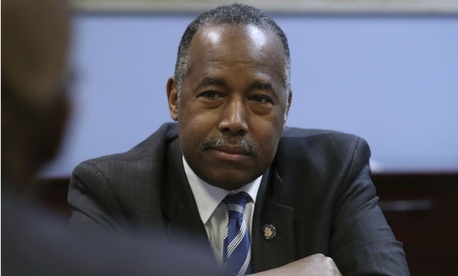 The leaked comments from a conference call mentioned 35 events in August affecting congressional district races and travel by Housing and Urban Development Secretary Ben Carson, Energy Secretary Rick Perry and acting Environmental Protection Agency Administrator Andrew Wheeler. Mixed travel has long been permitted, but the costs are required to be split between the government and political campaigns. A spokesman for the Office of Special Counsel confirmed receipt of the complaint. Past administrations have courted controversy by sending Cabinet members on campaign trips, often combined with political events, where their behavior—including whether they announce themselves by their official title—comes into play. But current-day misuse of agency travel funds by now-departed Cabinet members such as former Health and Human Services Secretary Tom Price and former EPA chief Scott Pruitt have heightened the scrutiny. On Tuesday, the Federal Aviation Administration released a review of the use of FAA planes, rather than commercial airlines by Transportation Secretary Elaine Chao. The cost to taxpayers between January and August 2017 was $93,977.84 for her and five staffers, as reported by Politico. Chao’s aides said the flights were approved by ethics officials as a suitable alternative in certain circumstances, but that she has not taken any commercial flights since February. CREW, which has filed hundreds of lawsuits against the Trump administration on transparency, ethics and conflict of interest issues, has been criticized for alleged liberal bias and for “having too much time on its hands,” as the Center for Consumer Freedom put it.